Over the years I have gone from full fat to semi-skimmed to organic to soya to rice to coconut and finally to almond milk. What a trip! I don't have any dairy intolerances that I know of, but I feel better in my body when I avoid dairy. I prefer not to have soya-based products because of the phytoestrogens (which have oestrogenic effects in the body and therefore disrupt hormones). A lot of dairy-free milks are highly processed and have added sugar. Lately I have started to make nut milk again. I used to make cashew milk because it's quicker than almond milk, the taste isn't as good. Almond milk is quick and simple. Here's my recipe for making your own fresh and home-made almond milk. 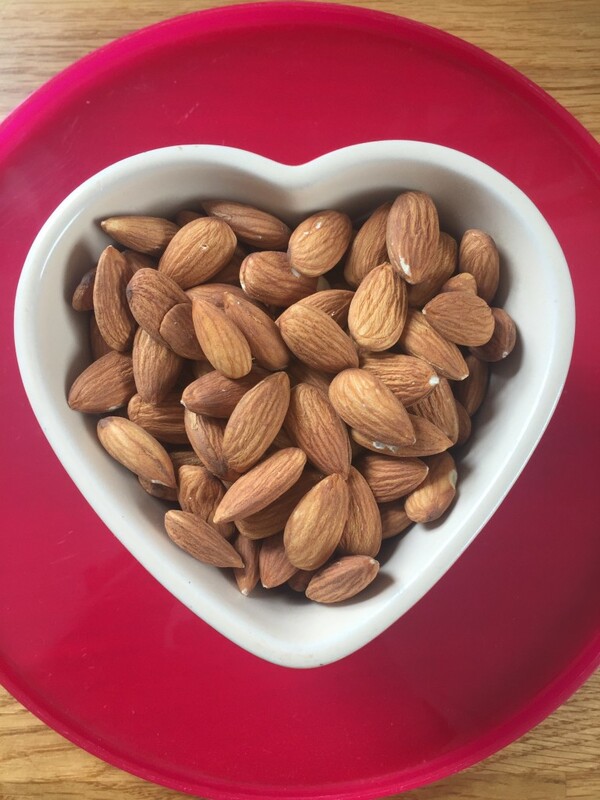 Soak 1 cup of almonds in filtered water- (ideally overnight. I often soak all day, refresh the water and soak overnight). Place the almonds in a high-speed blender. Add 2.5 cups of fresh, filtered water. Blend on a high setting for 3-5 minutes. Strain the mixture through a sieve with a cheesecloth placed over. Squeeze out remaining liquid by gathering the ends of the cheesecloth and twisting. Blend the liquid again. (I missed this steps the first couple of times and the milk was too grainy). You can add a medjool date as a sweetener or a tiny amount of vanilla extract if you like). Refrigerate the milk. Use within 3-5 days. You can keep the almond pulp and use it to make almond flour or in smoothies. I am going to try making gluten-free pizza base with the almond pulp tomorrow. Here are some more suggestions on using the almond pulp from Low Tox Life. Enjoy!